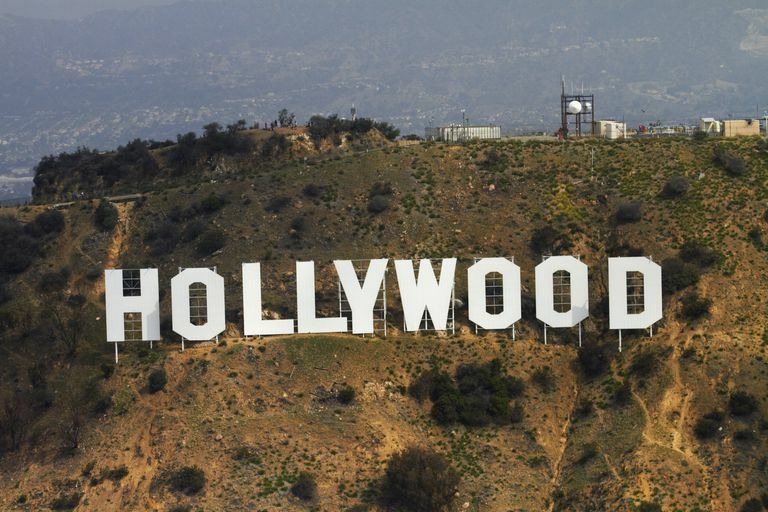 The Stories Behind Hollywood's "Big Six"
All moviegoers are familiar with the names of the big Hollywood studios that release blockbusters, but few probably realize that each one has a long history in show business. In fact, some are over a century old—and the others are quickly reaching that centennial mark. 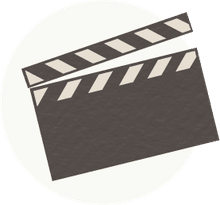 Each major studio has had a illustrious history in entertainment, developing some of the most beloved movies and movie franchises over the past decades. While some major studios have gone defunct (such as RKO) and others are no longer the powerhouses that they once were (such as MGM), there remain six major Hollywood studios that continue to release the vast majority of movies at your local multiplex. Here is a basic primer on the six studios whose movies continue to pack audiences into theaters. Beginning in the 1920s and continuing through the 1930s and the early 1940s, Universal had great success with its monster films with movies like Dracula (1931), Frankenstein (1931), The Mummy (1932), and The Wolf Man (1941). The studio’s fortunes dipped in the following decades, though it had several hits with stars like Abbott and Costello, James Stewart, and Lana Turner. Alfred Hitchcock also spent the last decade and a half of his career making films for Universal. Later, the studio had massive successes with three Steven Spielberg movies, 1975's Jaws, 1982's E.T. the Extra-Terrestrial, and 1993's Jurassic Park. Today, Universal Studios is almost as well-known for its theme parks as it is for movies. Key franchises include the Universal Monsters, Jurassic Park, Despicable Me, Fast and the Furious, Back to the Future, and Jason Bourne. Paramount was founded as the Famous Players Film Company in 1912. Early Paramount films featured some of the industry’s earliest stars, including Mary Pickford, Rudolph Valentino, Douglas Fairbanks, and Gloria Swanson. It is also the studio that released the very first winner of the Academy Award for Best Picture, Wings. Paramount maintained its reputation as the “star studio” throughout the 1930s, 1940s, and 1950s, featuring legends like the Marx Brothers, Bob Hope, Bing Crosby, and Marlene Dietrich in its films. However, the landmark 1948 Supreme Court decision that forced studios to sell their extremely successful theater chains hurt Paramount significantly, and the studio’s fortunes faced a deep decline. Paramount eventually rebounded on the strength of critical and commercial hits like The Godfather (1972), Saturday Night Fever (1977), Grease (1978), Top Gun (1986), Ghost (1990), and the Indiana Jones and Star Trek series. Other key franchises include Transformers, Iron Man (first two films), Mission: Impossible, Friday the 13th (first eight films), and Beverly Hills Cop. Walt Disney Pictures began its life as the Disney Brothers Cartoon Studio, and was renamed after the massive success of Walt Disney's Mickey Mouse cartoon character allowed the company to expand beyond traditional cartoon shorts. The studio began releasing films with live-action sequences in the 1940s, and Disney’s first all live-action film was 1950’s Treasure Island. Of course, Disney's media empire has grown to include its famous theme parks with attractions based on the studio's movies. Though mainly known for family films, in the 1980s and 1990s Disney released more mature films under its Touchstone Pictures and Miramax banners. In recent years, Disney has acquired Pixar (2006), Marvel Studios (2009) and Lucasfilm (2012), which brought extremely successful franchises underneath its umbrella. In addition to its widely-loved animated classics and live-action remakes of those movies, Disney's key franchises include Star Wars (since 2015), the Marvel Cinematic Universe (since 2012), and Pirates of the Caribbean. Warner Bros. was founded by four brothers — Harry, Albert, Sam, and Jack Warner. The studio’s first big star was actually Rin Tin Tin, a German Shepherd that starred in a series of adventure movies. Shortly afterward, Warner became the first studio to adopt sound films starting with films like Don Juan (1926), The Jazz Singer (1927), and Lights of New York (1928). In the 1930s, Warner Bros. had great success with gangster films, such as Little Caesar (1931) and The Public Enemy (1931). The studio released one of its best-loved films, Casablanca, in 1942. Warner Bros. worked with many notable names in the 1940s and 1950s, including Alfred Hitchcock, Humphrey Bogart, Lauren Bacall, James Dean, and John Wayne. In the 1970s and 1980s, powerhouse filmmakers like Clint Eastwood and Stanley Kubrick frequently worked with the studio. The studio is also known for its stable of animated characters, including Bugs Bunny, Daffy Duck, and Porky Pig, as well as its ownership of DC Comics and its vast catalog of superhero characters. Key franchises include Batman, Superman, the DC Universe, Harry Potter, The Hobbit, The Matrix, Dirty Harry, and Lethal Weapon. Columbia Pictures was born from a very small studio named Cohn-Brandt-Cohn known for producing very low-budget shorts. The newly-branded Columbia increased its fortunes when Frank Capra directed a series of hits for the studio, including It Happened One Night (1934), You Can’t Take It With You (1938), and Mr. Smith Goes to Washington (1939). Columbia also succeeded with comedy shorts, releasing films starring The Three Stooges and Buster Keaton. That success led to more prestige films in later decades, such as From Here to Eternity (1953), The Bridge on the River Kwai (1957), and A Man for All Seasons (1966). Nonetheless, the studio nearly went bankrupt in the 1970s. Columbia saw renewed success in the 1980s with films like Gandhi (1982), Tootsie (1982), The Big Chill (1983), and Ghostbusters (1984). After being owned by several companies (including Coca-Cola), Columbia has been owned by Sony since 1989. Key franchises include Spider-Man, Men in Black, The Karate Kid, and Ghostbusters. 20th Century Fox was created in 1935 when Fox Film Corporation (founded in 1915) merged with Twentieth Century Pictures (founded in 1933). Early stars for the merged studio included Betty Grable, Henry Fonda, Tyrone Power, and Shirley Temple. The studio’s success continued in the 1950s with a series of very successful musicals, including Carousel (1956), The King and I (1956), South Pacific (1958), and The Sound of Music (1965). Fox also pioneered “widescreen” cinema by developing the CinemaScope process first seen in 1953’s The Robe. Despite the success of CinemaScope and new stars like Marilyn Monroe, the incredibly expensive historical epic Cleopatra (1963), starring Elizabeth Taylor and Richard Burton, nearly bankrupted the studio. After the success of The Sound of Music, sci-fi films like Fantastic Voyage (1966) and Planet of the Apes (1968) became hits for the studio, but paled in comparison to the massive success of Star Wars (1977). Key franchises in the history of 20th Century Fox include the first six Star Wars movies, the X-Men films, Home Alone, Die Hard, and Planet of the Apes.